Although the potato, currently the worlds 4th largest food crop, is believed to have originated in South America, this starchy tuber has come to be associated with Ireland, and therefore, with St Patricks Day. These recipes for Irish Potato Soup and Colcannon, use a very small amount of the approximately 5000 potato varieties that are available worldwide, but are very big on flavor. Melt 2 tablespoons of butter in a large pot. Add onion and celery, cook over medium heat about 10 minutes. Add potatoes, ale, broth, salt and pepper and bring to a boil. Reduce heat, cover and simmer until potatoes are tender, about 45 minutes. Melt remaining butter in a saucepan, whisk in flour, until smooth. Cook 3 minutes over medium-low heat, stirring constantly. Stir in milk, whisking until thickened. Add cheese, stir until melted. Stir cheese mixture into potato mixture until combined. Cook over very low heat 10 minutes. 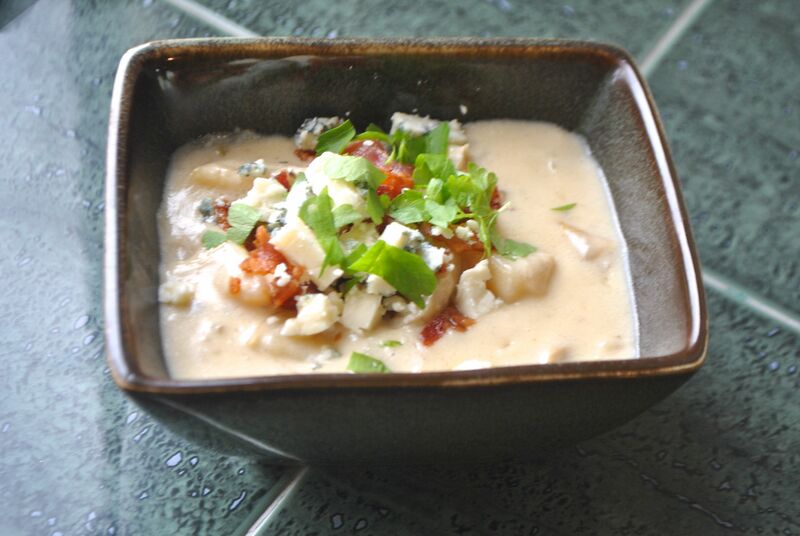 Ladle into soup bowls and sprinkle with parsley, blue cheese and bacon. Put cabbage and potatoes in a 3 quart saucepan and add salted water to cover by 1 inch. Bring to a boil, then reduce heat and simmer until tender, about 20 minutes. Drain and cover. While cabbage and potatoes cook, put leeks and milk in a separate saucepan and simmer over medium-low heat until soft, about 10 minutes. 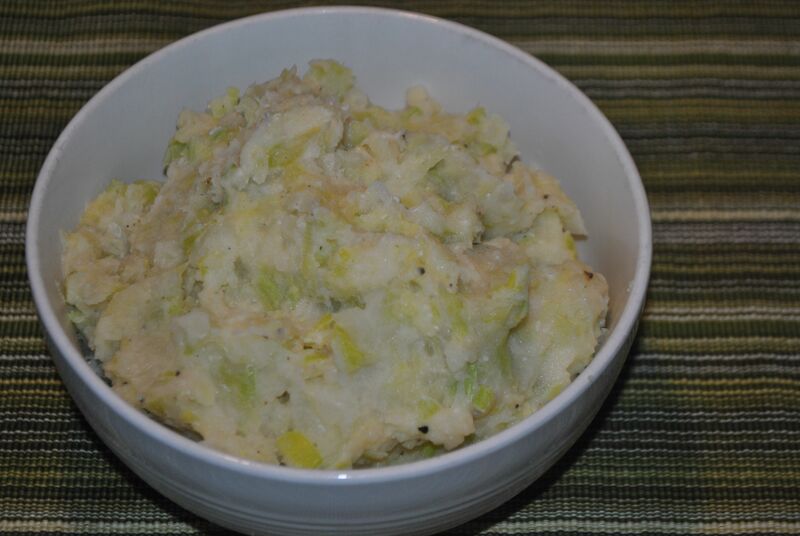 Add salt and pepper to taste and nutmeg to cabbage and potatoes, mash well. Make a well in the center and pour in butter, mix well.